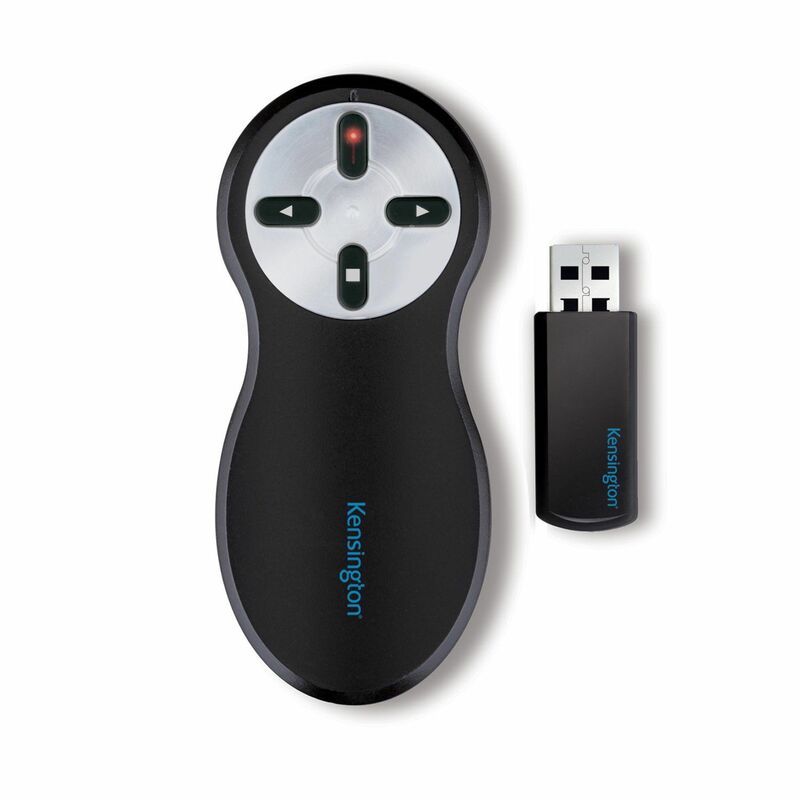 The Kensington Wireless Presenter with Red Laser features a control wheel to change slides while a bright laser dot lets you illuminate key points. The intuitive design frees you up to concentrate on your audience. A tiny wireless USB receiver gives you a range of 20 metres, ideal for larger presentations. The receiver fits neatly inside the handset and even disables the battery when not in use, saving energy and preventing any embarrassing power failures.